Originally from a farming background in Willingdon near Eastbourne Bill’s father changed direction and worked all his life for Barclays Bank. Through a scheme for employees’ children Bill was given financial support to attend St Edward’s Independent School in Oxford following which, in 1956, he went into accountancy. He started off in London where he remembers the bus fare being 2 1/2d!! In 1974 he moved to Birmingham where he worked in an accountancy firm, mainly in the audit department. Whilst there he was recruited to the Junior Chamber (similar to Round Table) but after around 3 years he was booted out as he turned 40! 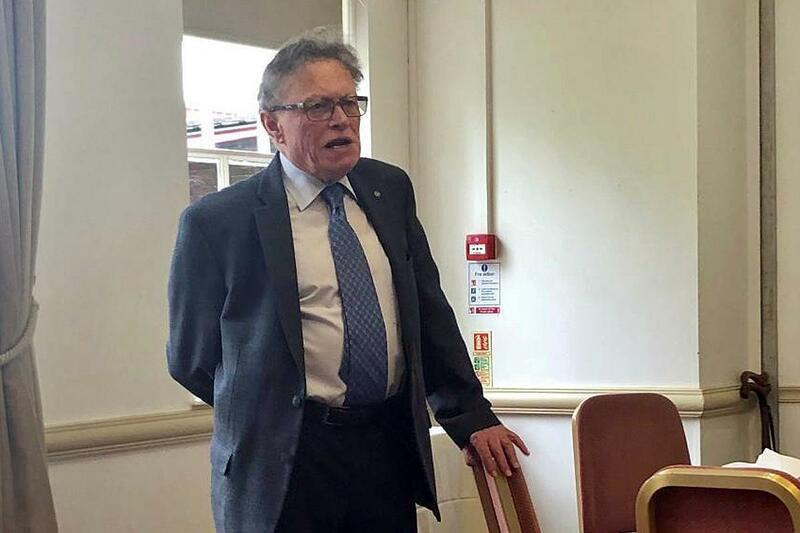 He was ‘guided’ into the post of Treasurer for his local Twinning Association (twinned with a German town called Main-Taunus-Kreis in Hesse) which he held for several years until finally joining the Rotary Club of Solihull in the early 80s. He has been both Treasurer and Secretary at the club. When Bill came to retirement he and wife Joan decided to move to Oswestry as she came originally from Gobowen and is daughter to Jim Kendal and sister to David and Michael! Their daughter Nichola has joined her uncles at Borderland while Bill has chosen our club. They have 2 other children, Sarah (also local) and Andrew who has remained in Solihull but as a youngster built the crown green bowling green at the Derwen, with which the family has always had strong links through Jim. One of Bill’s claims to fame is that one of his uncles was Joe Vine, the cricketer, who played for Sussex in 1912. Members of the club were very pleased to hear all about Bill’s life and career and gave him an enthusiastic round of applause at the end of what was a really interesting talk.